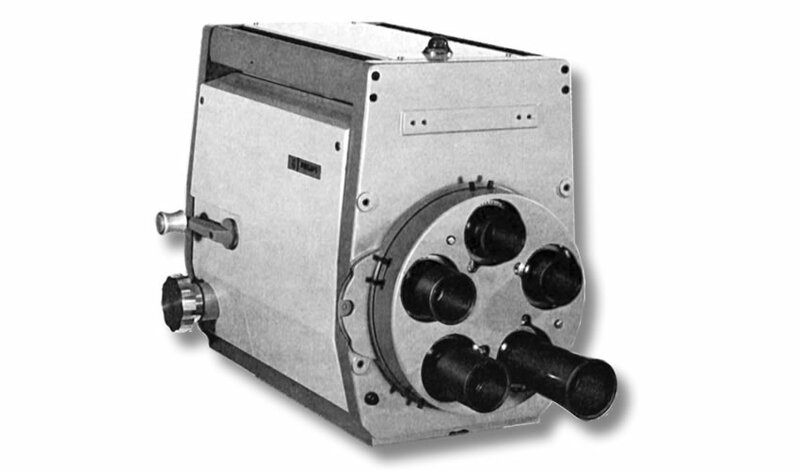 This is a Philips monochrome Plumbicon camera from the early to mid 1960s. 1963?? Controls :- Focus control (lower), Turret crank (upper), it is shown with a 5 station turret which could be easily exchanged for a zoom lens mounting.